Japan’s population is both declining and rapidly aging, and the situation will only grow more serious in the future. However, it is important to note that depopulation and the aging of society is not occurring at the same speed and manner everywhere across the country. Dividing the nation into urban and rural areas, we can easily see that the population decrease and the depth of aging is more serious in the countryside than in urban areas. 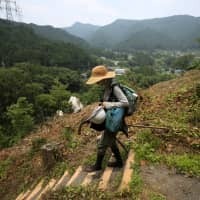 According to a region-by-region projection by the National Institute of Population and Social Security Research, the population of Akita Prefecture will decrease about 41 percent from 2015 to 2045, and it’s estimated that Aomori Prefecture will lose almost 37 percent of its population over the same period. In contrast, the Tokyo metropolitan area (comprising the capital and its adjacent prefectures) will maintain its population through 2045, and Kanagawa Prefecture will have lost only 9 percent of its population. The institute forecasts that Japan’s total population will decline by 16 percent between 2015 and 2045 — so the speed of the population decrease in Akita and Aomori will be three times faster than the national average. While the elderly (65 or older) will account for 36.8 percent of the nation’s population in 2045, the ratio is forecast to hit 50.1 percent in Akita and 46.8 percent in Aomori. At the municipal level, the village of Kawakami, Nara Prefecture, can expect to lose around 80 percent of its population in the 30 years to 2045, and the city of Utashinai, Hokkaido, is projected to see its population fall by 77 percent. On the other hand, Tokyo’s 23 wards combined are forecast to have a larger population than today. Why is there such a large demographic disparity? One of the reasons is population flight from rural regions to urban areas stemming from the general preference of young people to live in big cities, particularly in the Tokyo metropolitan area. Although the size of the population movement has fluctuated over the years, the greater Tokyo area has consistently attracted the younger generations by providing opportunities for higher education and better-paying jobs. The metropolitan areas around Osaka and Nagoya have also been major destinations for people moving out of rural areas, but their power to attract the population inflow has weakened in recent decades. As young people move away from the rural regions, demographic reproductivity in those areas is reduced, accelerating the aging of the rural population. 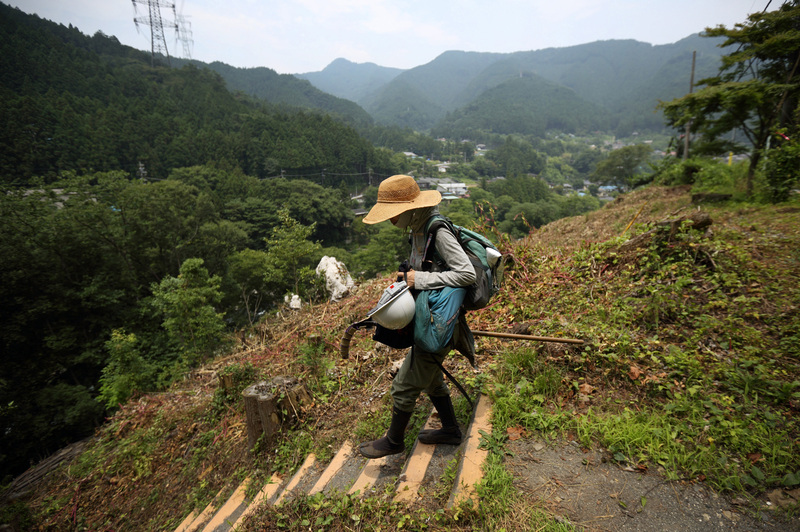 A few years ago, the private think tank Japan Policy Council published a shocking report on “vanishing municipalities” that said roughly half the nation’s municipalities face the risk of disappearing in a few decades due to the drain of their young population. It prompted the national government to take up regional revitalization as a key policy agenda. Are there advantages to the population concentration in major cities? Many economists insist on the benefits of economies of scale or economies of agglomeration in the Tokyo metropolitan area. The clustering of firms and related organizations, including public sector institutions, in urban areas provides potential economic opportunities and efficiency in production and consumption. With the location of many related businesses in urban areas, production costs may decline by merit of agglomeration. Tokyo is a representative example of the economy of agglomeration. Many disadvantages exist, however. One is the cost of high congestion. Since the large concentration of people and businesses pushes up land prices and housing costs, restricts living space and makes it difficult to build child care facilities, big cities are not a suitable environment for young families to raise children. For example, the total fertility rate in Tokyo is lower than in other parts of the country. In 2017, it was 1.21, compared with 1.34 in neighboring Chiba and Kanagawa prefectures and 1.43 for the national average. The flight of many young people from rural areas to Tokyo makes it harder for young families to raise children due to the congestion costs, thereby exacerbating the nationwide decline in the fertility rate. The concentration of the population in the Tokyo metropolitan area will also be a problem in the event of major disasters such as earthquakes. The damage would be immeasurable if a mega-quake hits the capital area. Since Japan is prone to natural disasters such as earthquakes and typhoons, it is essential to make our cities resilient against such catastrophes. However, the excess population in the Tokyo area presents obstacles to city planning of this sort. The demographic challenges will also reshape the nation’s policy on development of its rural regions. When the population was growing, national land policy was aimed at enabling people to live all over the country, and for that purpose the government invested its resources in developing social infrastructure nationwide. However, in an era of depopulation — when the nation is forecast to lose almost one-third of its population over the next 50 years — it may be impossible to maintain all existing municipalities. What then should we do? In order to make the population accumulate in core regional cities, the government should pursue more compact city planning in regional development. Right now, such efforts cannot be deemed to be going well. The municipalities that are losing the most population to the Tokyo area are core regional cities such as Sendai, Sapporo and Niigata — as well as the other major metropolitan areas around Nagoya and Osaka. Those cities should be attracting more of the population of neighboring municipalities to play their key roles in each region, instead of sending more young people to Tokyo. To correct the overconcentration of population in the Tokyo area, the government needs to take steps to create more education opportunities and jobs in the regional core cities. Rather than trying to maintain all municipalities, we should select regional core cities and make intensive investments in their social infrastructure, which will lead to more efficient use of fiscal resources in this time of tight budgets. This should be the basic policy for new national land planning in the era of population decline. It might be difficult to obtain a consensus among all people, especially those in rural areas. But unless new national land planning is adopted, the governance of municipalities across the country will likely become more difficult and many small towns and villages will vanish. We need to understand this situation and take bold policy steps. Hisakazu Kato is a professor of economics at Meiji University and former senior research fellow at the National Institute of Population and Social Security Research.